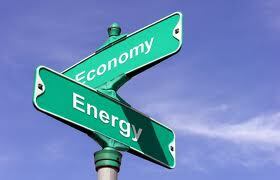 Members of the U.S. Senate and the U.S. House of Representatives are calling for a comprehensive energy bill in 2015. If past is prologue, however, such wide-ranging energy bills do much more economic harm than good. Congress should operate from the basic principle that free markets work efficiently and that any new legislation should get government out of the way of the market and innovation. – Open access to domestic resources. Rather than allowing the Interior Department to draft five-year plans that continually limit energy-production and job-creation potential, Congress and the Administration should open all federal waters and all non-wilderness, non-federal-monument lands to exploration and production. – Allow access to freely traded energy sources. America’s surge as the world’s largest oil and natural gas producer has positioned the U.S. to export more energy. Antiquated and anti-free-trade laws thwart those opportunities. Freely trading energy and energy technologies would yield tremendous economic benefits by providing Americans with more opportunities to sell their products. – Eliminate and block burdensome regulations. The biggest threat to affordable, reliable energy in the United States is the current onslaught of regulations implemented by unelected bureaucrats. – Eliminate handouts and workforce-training programs. Whether the preferential treatment is a targeted tax credit, a government-backed loan or loan guarantee, or a direct grant, these programs have used taxpayer money to finance projects that the private sector would have funded without the government program in place. Additional objectives include removing government-forced efficiency and renewable-fuel mandates, streamlining energy-infrastructure projects and returning power to the states. America does not need a federal energy policy. Congress should recognize that free energy markets work and should enact legislative reforms to achieve those seven objectives that make the U.S. energy economy freer and more competitive—to the benefit of all Americans.